Conquer Innovation and Change Fears! Whether spoken or not, organizations can send strong messages saying, “If it isn’t broken, don’t screw around with it” in a variety of ways. Such messages make it clear that good things do not await those pushing for innovation involving any significant level of risk. 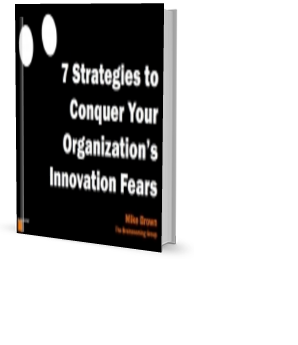 Download your FREE copy of 7 Strategies to Conquer Your Organization's Innovation Fears today!